Full digital multifunction unit-Full digital Desktop conferencing unit RX-C3500-Restmoment Digital Audio Device Co., Ltd.
Full digital main unit is the core component of ADCS system. It’s the important intercommunication factor of conference unit and software. 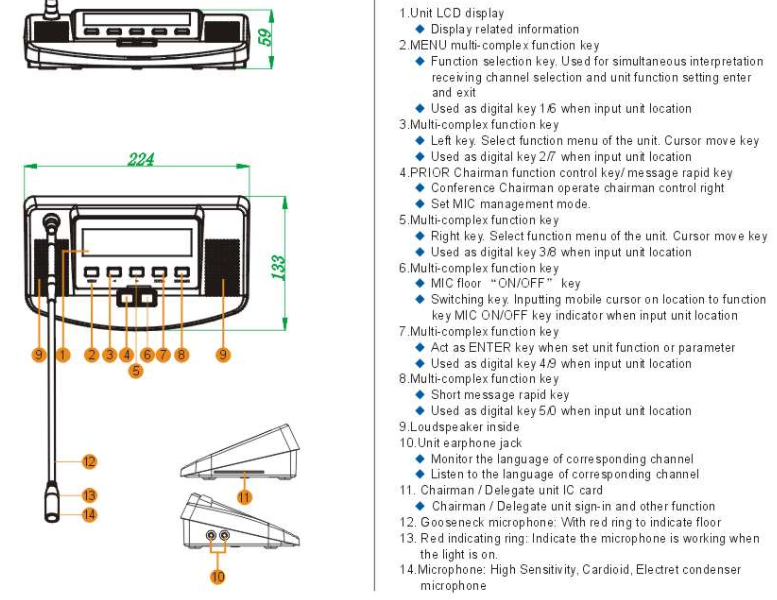 Can control speech、video tracing、voting function via the navigation keyboard of the panel, and LCD. Ø Restmoment original full digital conference technique, compliant to IEC 60914 international standard. Ø All digital audio transmission technique, point to point connection mode, remote transmission won’t influence on sound quality. Distance between equipments could reach at 150m. 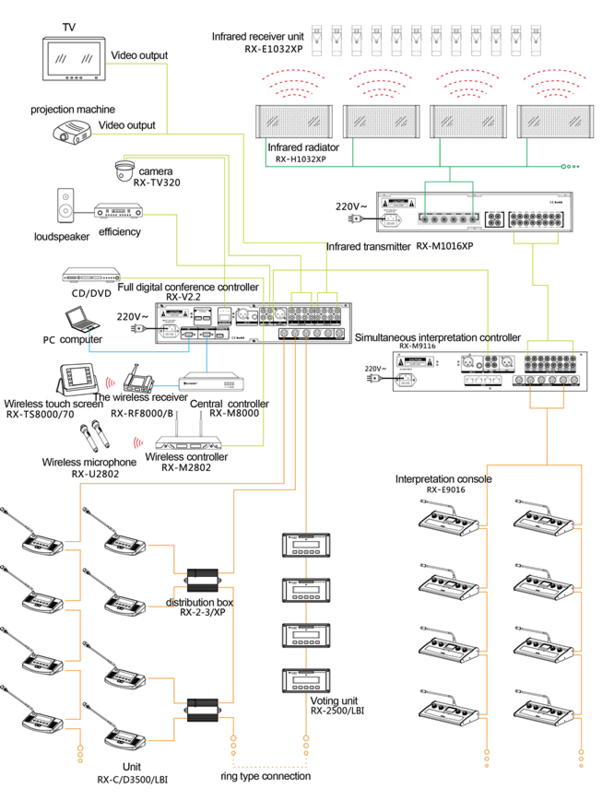 Ø 160*32 LCD, display conference info. Ø Built in IC card reader, support IC card sign-in、delegates degree identifying、IC card key and set menu language etc. Ø Streamline design, mode、elegance、nobleness and dantesque. Ø Hand in hand connection way. Ø Strong anti-interference from mobile phone; Anti-interference from external driving source. Ø Support key sign-in and making up sign-in function. Sign-in can be real-time displayed dynamically. Ø Built in high fidelity speaker, when turn on MIC or connect with earphone, speaker is mute automatically. Ø Each unit has arbitrary distribution ID address, convenience for installation and avioding ID address repeating. Ø Double stereo earphone output, could adjust sound volume. Ø Units can receive/send and read short messages. Ø Cooperated with video controller and camera, have video tracing function. 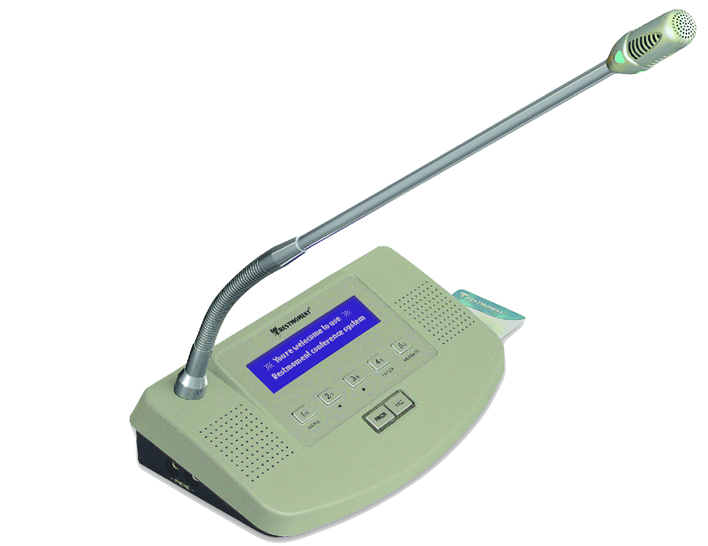 Ø Chairman unit have Priority, could switch off or mute the speaking units. Ø Working with management software to achieve more functions.